Three new House members are sworn in, and a new vacancy opens with the departure of José Menéndez for the Senate. It was new member week in the Legislature as the House on Tuesday welcomed three new members: Diego Bernal, D-San Antonio; John Cyrier, R-Lockhart; and Leighton Schubert, R-Caldwell. 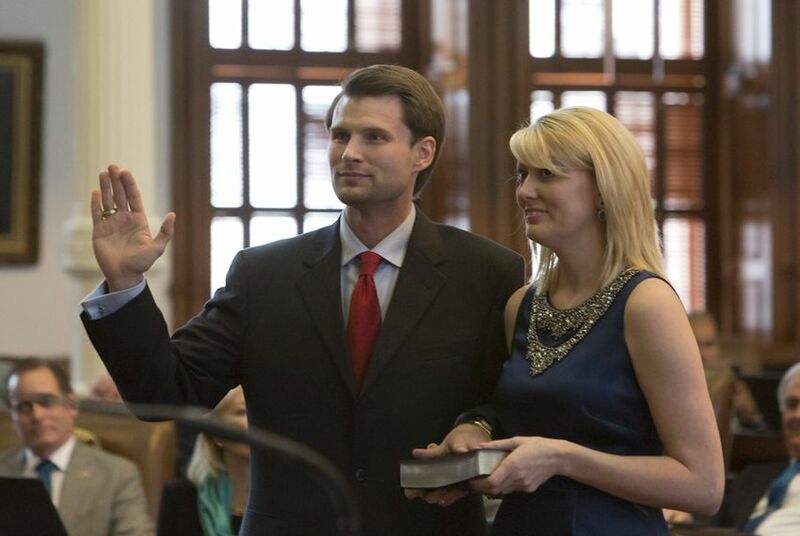 A day later, state Rep. José Menéndez was sworn in as a state senator, taking the seat previously held by Leticia Van de Putte. The San Antonio Democrat’s departure from the House triggers a vacancy in HD-124. Gov. Greg Abbott has set March 31 as the date for an emergency special election to fill the empty seat. Candidates wishing to run in the special election have until March 10 to file. Early voting in the election begins March 23. Nathan Alonzo, a 32-year veteran of the San Antonio Fire Department, signaled Thursday afternoon that he would run for the seat. He has also served as legislative director for the San Antonio Professional Fire Fighters Association, Local 624, for the past decade. Republican operative Austin Barbour is expected to lead a Super PAC that would support former Gov. Rick Perry's likely 2016 presidential campaign, The New York Times reported Monday. The formation of a Super PAC would mark Perry's latest move toward a second bid for the White House. The group would allow the former governor's allies to raise unlimited amounts of money to boost him. Barbour is the brother of Henry Barbour, a longtime Perry ally. The brothers are related to former Mississippi Gov. Haley Barbour. Ted Cruz has made a hire who could further help him in Iowa. The Des Moines Register reports that Bryan English has been brought on board to be a senior adviser to the Cruz-connected PAC the Jobs Growth & Freedom Fund. English, the paper noted, has worked for a conservative advocacy group, the Iowa Family Policy Center, and has worked as a staffer for Iowa Congressman Steve King. The 64-member State Republican Executive Committee will pick Munisteri’s replacement Saturday. The committee will hold as many rounds of voting as needed until one candidate wins a majority. The candidates will have one last chance to make their cases Friday during a forum the party is hosting in Austin. Houston attorney Bill King officially kicked off his campaign for mayor on Monday morning, laying out what he called a “Back to Basics” platform: "Fix the streets. Catch the crooks. Balance the budget." He joins other high-profile entrants into the race, including state Rep. Sylvester Turner and former Congressman Chris Bell.